Urban Sketchers in Portland Oregon will be gathering to sketch on April 13 this year. Still deciding where we'll sketch! Hey folks, some of us portlanders are traveling by train to Seattle for our day of sketching. We'd love to sketch with you all in PDX another time! Our morning meeting location will be weather dependent. The most up-to-date info will be posted on our google calendar, link posted above! I am the organizer and we're still deciding. Please click on the link to oursite and calendar https://sites.google.com/site/urbansket ... e/calendar you can see the options there. 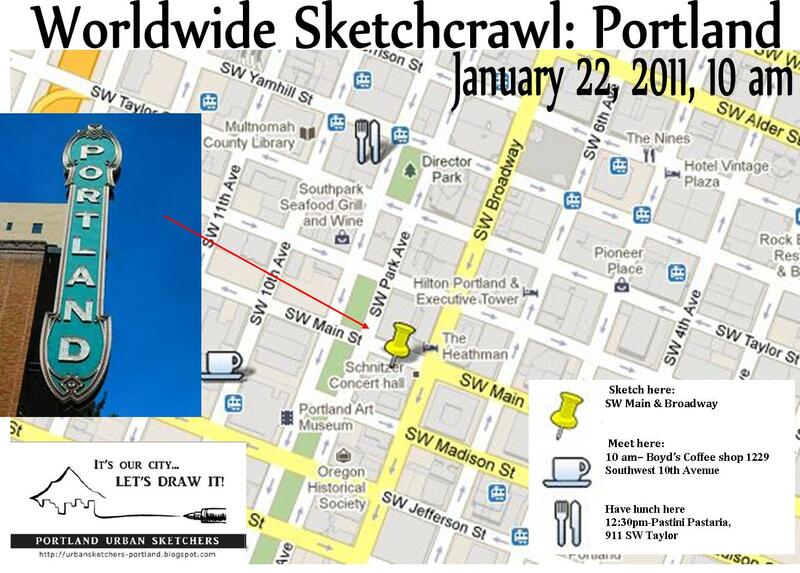 As usual, the Portland Urban Sketchers will be participating in the WW sketchcrawl. https://sites.google.com/site/urbansket ... e/calendar and check out google calendar for the details of our sketchcrawl plans. Topic: Portland, OR has monthly sketchcrawls! We will definitely be out sketching that day! Visit our Blog to check out details on our google calendar. I will try to update this forum, too. Hope to see some of you on Saturday for our Sketchcrawl!